The finished product of Beau Duran’s cover up of an ICP tattoo that got infected. Robert Smith, the owner of Black Mountain Tattoo in Cortez, was the sponsor of the cover up for our tattoo removal contest. 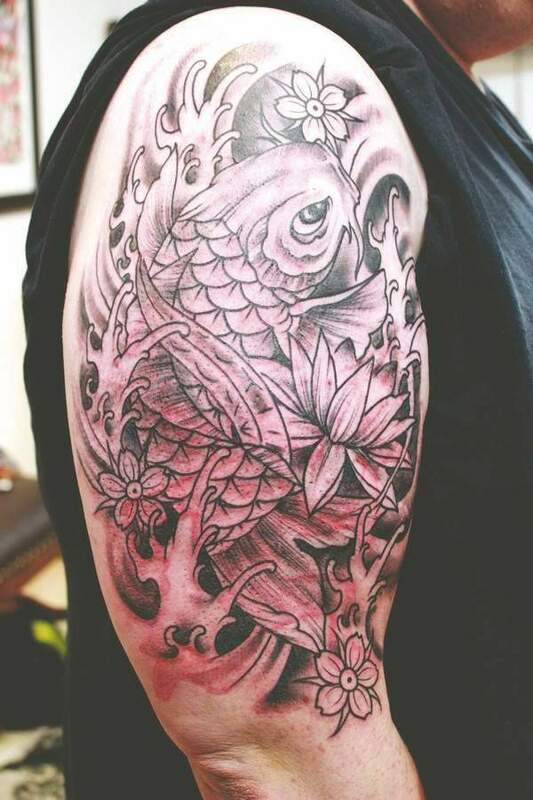 The first round of Beau Duran’s cover up. 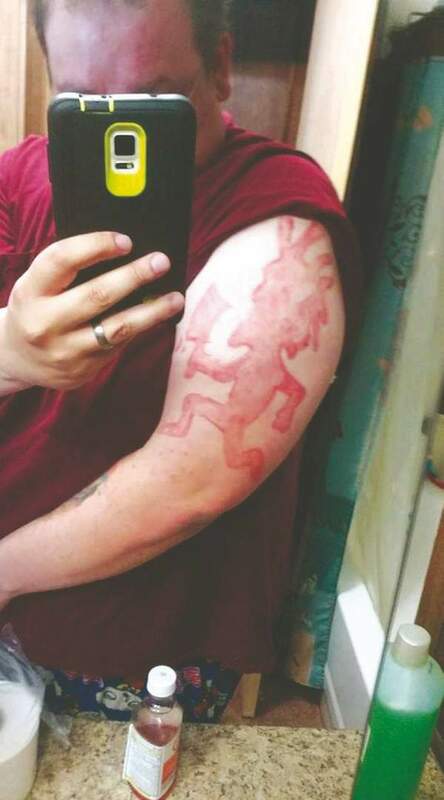 Beau Duran’s original ICP tattoo that got severely infected and left scarring on his arm. 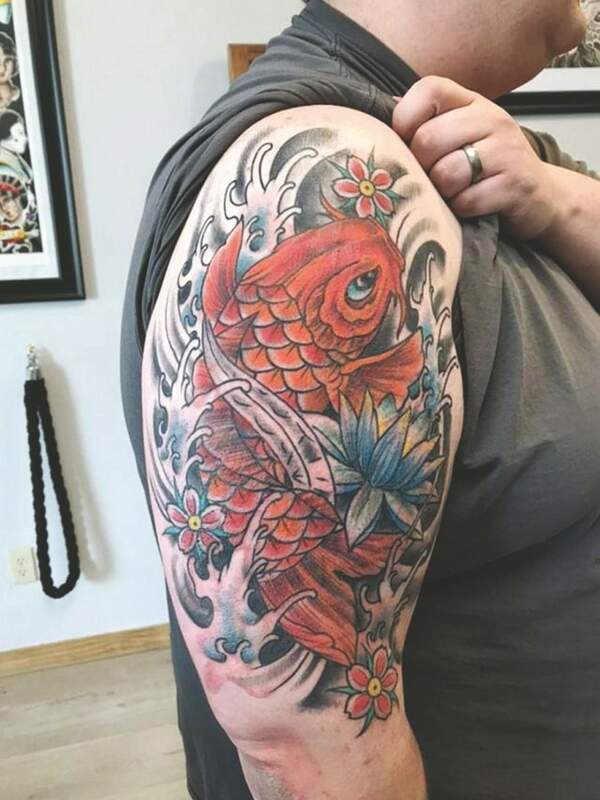 We worked with Black Mountain Tattoo in Cortez to snag one winner a free cover-up and Durango Dermatology to get another winner a free consultation and three free laser removal sessions. Today, we are proud to announce that Beau Duran, the winner of the free cover up, is now free of his terrible, awful, no good, very bad ICP tattoo that he got in a friend’s garage. Because the tattooer wasn’t using clean equipment, Beau ended up with a terrible infection. Thankfully, Robert Smith, the owner of Black Mountain Tattoo, was able to do Beau a solid and now he has one helluvah cover-up. Instead of an outline of ICP’s hatchet man, Beau can show off a beautiful piece of art that Robert designed to cover his old tattoo. It’s badass, and we’re super psyched we were able to hook Beau up with the help of Black Mountain. Thanks to everyone who sponsored this contest and to all you poor souls who submitted your god-awful ink.